Last week I treated myself to a new toy… an iPod shuffle! This is my first iPod, which I guess puts me behind the times, but there are good reasons why I have avoided buying an iPod in the past. I always resent it when consumer electronics come bundled with proprietary software which you are forced to use with your new gadget. But I particularly resent it when that proprietary software forces the user to relinquish any control they might have previously had, and is built in such a way as to lock the user in to a particular brand. There are lots of reasons I despise iTunes, but the software’s shortcomings are well documented elsewhere. Rather than turn this post into a rant, just bare in mind that my ill-feelings towards iTunes are very strong indeed, and let me tell you why I have bought the iPod. 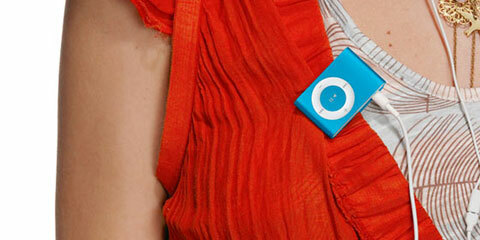 The iPod shuffle is everything good design should be. It is a stunningly beautiful product – the perfect balance of clean, flat shapes and straight lines, combined with simple and elegant curves and corners – all with the right proportions. A range of attractive colours with an ever-so-subtle matt metallic shine. To look at the shuffle honestly gets my mouth watering in much the same way as looking at a Ferrari. Even the packaging of the shuffle has been known to make grown men go wobbly at the knees. It comes packaged in a clear plastic coffin, delicately fixed to a pure white bed of card. The only decoration to the packaging is the Apple logo. It is strikingly simple, beautiful and distinctly Apple. All this goes to demonstrate the strength of good design and a strong brand. In this case the design of the product alone has not only made me chose that product from many comparable (in terms of functionality) products, but has also made me ignore strong and long-held feelings that have previously made me chose the alternative products over the iPod. Apple really have got it right at the moment. 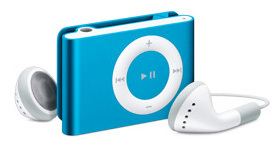 In my opinion the product design of both the iPod shuffle and nano are miles ahead of all the competition. In the desktop computer market the iMac is equally strong for all the same reasons. Apple have always prioritised design, they have always been very clever with their marketing and as a result have built one of the worlds most famous and successful brands. Over the years they have not always got their product design right, but at the moment, they very definitely have!